The annual Progress of Nations report was developed by P&LA for UNICEF at the beginning of the 1990s. Its purpose was to monitor and publicise each nation’s progress towards meeting the basic needs of its children. Using the latest available UN data, the report ranked the countries of the world according to criteria such as the child mortality rate, the vaccination rate, the percentage of children who were malnourished, or the percentage growing up without access to safe water or basic health care or primary education. The day will come when the progress of nations will be judged not by their military or economic strength, but by the well-being of their peoples: by their levels of health, nutrition and education; by their opportunities to earn a fair reward for their labours; by the respect that is shown for their civil and political liberties; by the provision that is made for those who are vulnerable and disadvantaged; and by the protection that is afforded to the growing minds and bodies of their children. The Progress of Nations, published annually by the United Nations Children’s Fund, is a contribution towards that day. 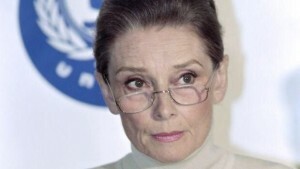 Audrey Hepburn, who launched the 1991 Progress of Nations Report in Brussels. As UNICEF Ambassador, Audrey Hepburn also launched several State of the World's Children reports and took part in the 1990 World Summit for Children.